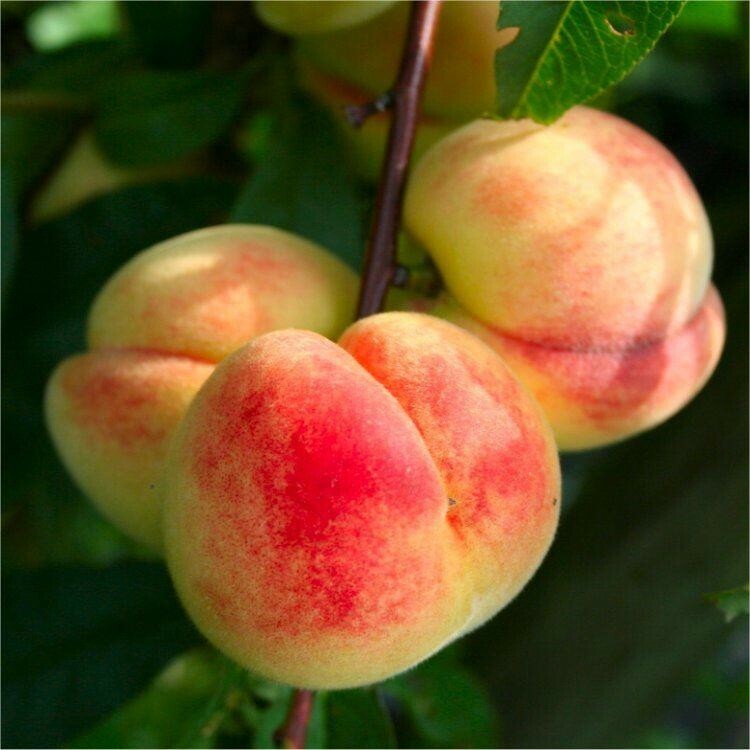 This is a fantastic Peach variety to grow in the UK, perfect for small gardens being compact in size with an eventual height of around two metres - so no step ladders needed to reach the delicious fruit, this also means it lends itself well to growing in a container on the patio or in the garden. Peach Melred also benefits from fruiting at a young age, and should fruit within a year or two of planting with crops increasing in size each year until the tree it fully established. 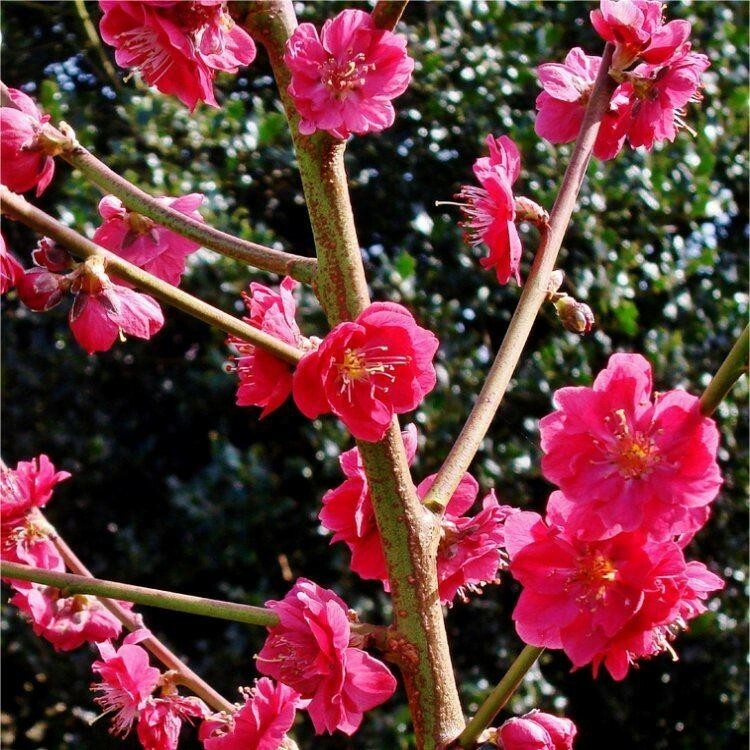 Originally discovered as a chance seedline in the USA, Peach Melred will dazzle in Spring Time with beautiful deep pink-red flowers which will of course be followed by the fruits later in the year. Melred is self-fertile, so you will not need to plant another tree as a pollination partner - useful in modern smaller gardens where there may only be room for one tree. The fruit produced is a good size, and usually ready to pick from early August depending on the weather, nothing can beat your very own scumptious home produced juicy peaches! Supplied in approx 5 litre containers at around 100-120cms tall, and covered in flowers in Spring time.